The plantation is located on the hills overlooking the Crati valley, a few hundred meters from the conservation area of Tarsia Lake; the wind, coming from the Ionian sea, is channeled through the valley and reachs the olive trees, that thrive thanks to the mild climate and fertile soil, generating a product carrying the fragrance of the earth from which it was born: the grassy taste coming from wheat fields, the fruity taste of pear and apricot trees, the spiciness of the chili and the bitter flavor of licorice root, growing wild in the area. A unique oil from the unmistakable scent suitable for any kind of dish. Light fruit of ripe olives, with hints of ripe fruit and grass. On the palate there is the grassy fields of wheat and fruit in the vicinity, the bitterness of the roots of licorice and spicy Calabrian chili, all with a strong flavor and persistent. The light fruity blends well with the entire Mediterranean gastronomy and not solo.Esprime its best quality and taste to foods accompanied orfattive delicati. 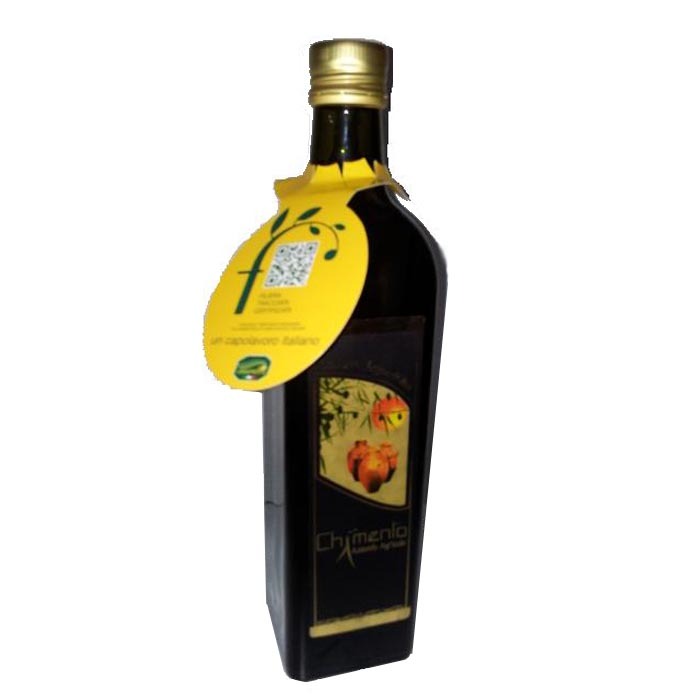 Le quality of the oil you appreciate above all the traditional dishes of the Area of the Valley of the crater such as: bruschetta with sweet black olives; lagane and chickpeas; chicken with peppers, grilled mixed vegetables.